The first season of Brazil-based TV PinGuim’s flagship series is available on the streamer worldwide, excluding Latin America. 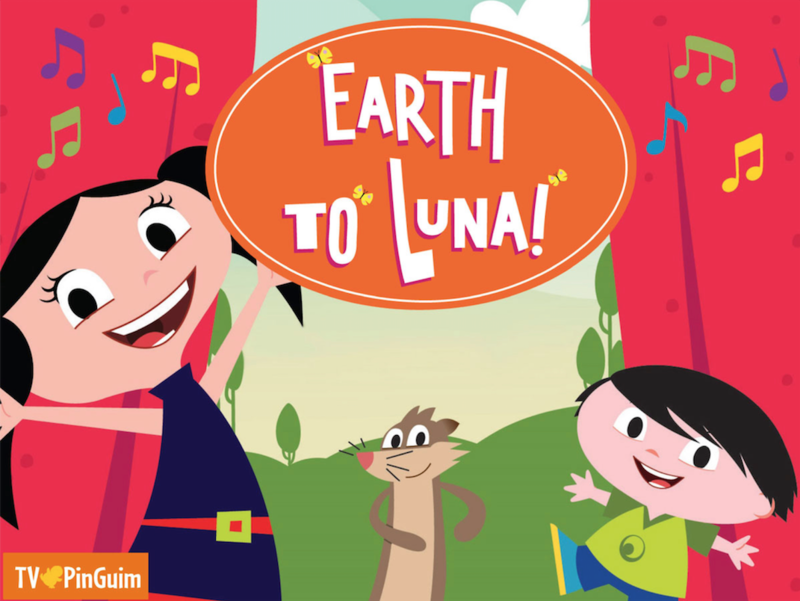 Netflix has acquired the first season of Brazilian producer TV PinGuim’s flagship animated series Earth to Luna, which is now available globally on the streamer (excluding Latin America). Aimed at children ages four to seven, the series consists of three seasons (104 x 12 minutes) with a fourth currently in production. Following six-year-old Luna as she searches for answers about science, the show is available in 96 countries on platforms and broadcasters including Amazon Prime, YouTube, Universal Kids (the US), SVT (Sweden), PlayKids (Brazil), Tiny Pop (the UK) and iTunes. Monster Entertainment globally distributes Earth to Luna, following a new agreement inked between the Irish distributor and TV PinGuim earlier this week. Moving beyond Brazil, TV PinGuim opened a Miami-based US arm last September with the hopes of finding co-pro partners and expanding licensing opportunities. TV PinGuim is also set to premiere a movie version of its series Fishtronaut at the Miami International Film Festival next month. 3D Sparrow’s animated show, which already boasts a large following on YouTube, will be distributed by Ireland’s Monster Entertainment. 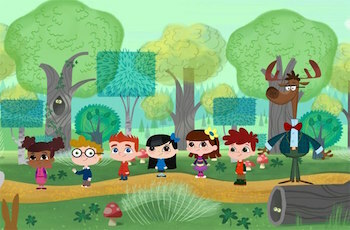 Ireland’s Monster Entertainment has acquired distribution rights to a non-dialogue animated preschool series that has a strong following on YouTube. Slapstick comedy Booba (26×4′) follows a curious creature with inquisitive eyes, pointy ears and a furry body. The property has racked up 1.5 billion views on YouTube, according to Monster, and is also on air on Super! in Italy and Carousel in Russia. It is made by animation producer 3D Sparrow, which has offices in London, Dubai and Moscow and is currently in production on the show’s second season. 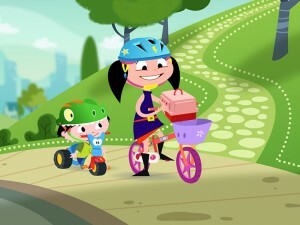 The popular preschool series signs an Italian agent ahead of its Italian premiere. EUROPE–Monster Entertainment has inked an agency representation agreement with Team Entertainment for its preschool property ’The Day Henry Met…?’ in Italy. Under the terms of the agreement, Team Entertainment will build a consumer products program around the property throughout Italy. Most recently, Monster Entertainment signed a publishing deal that will see The O’Brien Press release a series of picture books based on the show’s format in the U.K. and Eire. The books will be available later in the year. 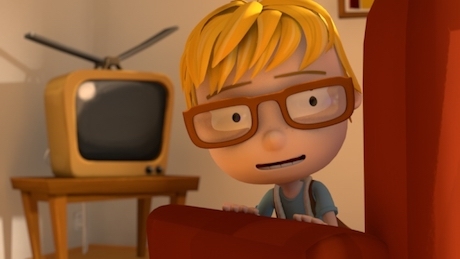 ‘The Day Henry Met…?’ is now airing on Rai Yoyo in Italy. Brand management agency Team Entertainment has signed on to a consumer products program inspired by the preschool series in Italy. Distributor Monster Entertainment has tapped Team Entertainment to serve as exclusive Italian licensing agent for the preschool brand The Day Henry Met..? Team Entertainment is looking to secure licensees for toys, back-to-school items and apparel inspired by the series, which makes its Italian free-TV premiere on RAI Yoyo on January 7. 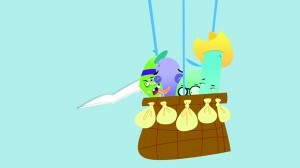 Produced by Ireland’s Wiggleywoo, the toon also airs on Nick Jr. in Italy. The Day Henry Met..?’s consumer products push follows a recent deal with The O’Brien Press to publish branded books in the UK and Ireland, which are set to launch later this year. The day Henry met… China! Irish cartoon coming soon. A hugely popular Irish children’s animation will be coming to screens in China after a rights deal was signed. ‘The day Henry met…’ is already available in 177 territories around the world after children’s network Nickelodeon signed a rights agreement in 2016. There are currently two seasons of the show, each featuring 26 five minute episodes. A third season is in production and is expected to be complete early in 2018. Now, an agreement has also been reached which will see the programme come to Chinese televisions. 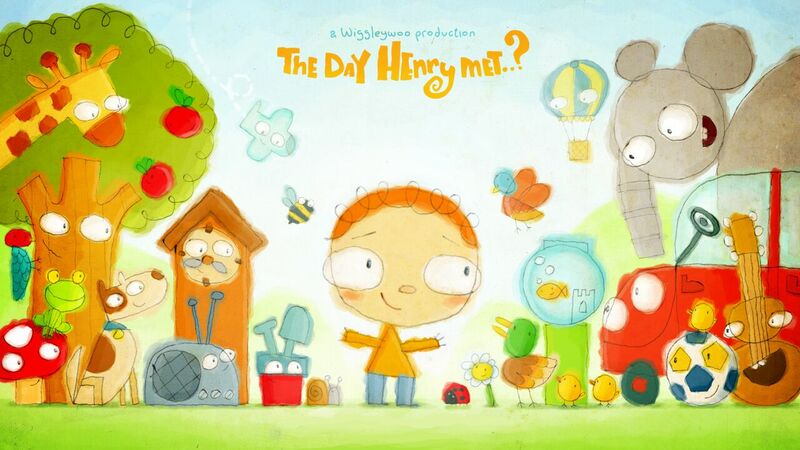 Jetsen Huashi TV has arranged rights to offer ‘The day Henry met…’ on its brand new on demand service, aimed specifically at children. The deal will also allow Jetsen Huashi to broadcast the show across their Chinese services, and on mobile platforms in China. Following their visit to ATF Singapore, Monster Entertainment is excited to announce that they have closed a number of deals with a number of companies in China and Kuwait in the Middle East. Monster has agreed a deal with JY Animation in China for the first season of the adorable, non-dialogue series, ‘Pikkuli’ for exclusive VOD; with a second season coming soon and a narrated version now available! 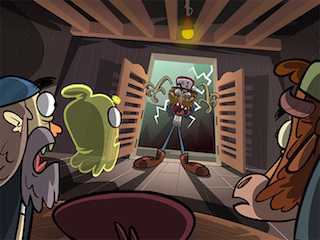 JY Animation will also be taking the exclusive VOD rights for the non-dialogue short – ‘Monster In A Box’, the Irish animated series commissioned by RTE – ‘Brewster the Rooster’, and the third season of the I’m A Animated series from Monster Entertainment – ‘I’m A Fish’. Red Apollo Group China has picked up seasons 1-3 of the popular series, ‘Jabu’s Jungle’, as well as, the second season of the hit Spanish animated show, ‘Cleo’. Season 1 and 2 of the adventure series, ‘Jabu’s Jungle’ will be making its way to Kuwait, Middle East with Orange M E.
The Day Henry Met: Season 1 -Creative, Imaginative and Fun! This creative animated series left me feeling intrigued the entire time. I enjoyed watching Henry act as an inquisitive 4-year-old. I am a little jealous because he is so intelligent and I wish I was that intelligent whenI was 4! Throughout the series, I couldn’t wait to see what Henry would encounter next. Henry is a young boy who desires to learn something new in his everyday life. In each episode, Henry meets a new object and his imagination comes to life when he puts the object to use. He finds a soccer ball and acts as a referee, finds a shield and acts as a knight and even acts as a deep sea diver, swimming alongside marine life. The best part is, Henry builds so many friendships and everyone he meets is eager to help him find the answers to his questions. Steve Austin, the series animator, makes the setting and characters look incredibly realistic, since they aren’t picture-perfect. The animation looks pencil sketched, which makes the series more relatable, since nothing in life is perfect. Susan Broe, the series producer, incorporates a multitude of family-friendly themes to make this series fun for everyone to watch. This DVD is very educational and cute. It is simply amazing that a child can enjoy watching a film while learning so much at the same time. A child can acquire so many positive traits and behaviors from watching this show. The animation is so cute. I have never seen this style of animation before. In this show, Henry meets a new object every day and goes on adventures learning more about them. He helps his object friends with their problems and learns the correct way to act in different situations. He learns to be fair, honest and kind. The show is somewhat predictable and not as original as some educational kids’ shows. I love the plot of Henry meeting a new object. That is very original. One interesting thing is that all of the objects (trees, clouds, pillars) have eyes on them. The eyes are huge and wide, even on Henry. Another thing is that everything is always moving. For example, all the trees in the background sway in the wind. There are tiny details like that which make everything seem a bit more life like. There are multiple message in the stories. The most common ones are about being honest, kind to others, playing fair and facing your fears. These are all very important and good to teach to children at an early age. This DVD is great for young children who are ready to learn. I recommend it ages 3 to 7 and give it 3 out of 5 stars. The animation is super cute and unique, but the stories are not all that original. Still this is a wonderful DVD and is available now, so check it out! This is truly a neat little program. This show is exactly as it sounds. It’s all about Henry meeting all kinds of people and things. He goes on tons of wacky adventures and I loved every minute of it. The art is goofy and feels as if it came from a child. I believe that is appealing to children who think that they too could create such a little journey. My favorite episode is “The Day Henry Met… A Panda.” It may because I love pandas, haha. In this episode, Henry helps a panda at the zoo search for its cousin and, in turn, becomes a zookeeper for the day. it’s very fun seeing him meet all the zoo animals and create a friendship with the panda as they search together. I think this show really inspires adventure and curiosity. I love how it makes every small event seem so fun and worthwhile. I recommend this DVD for ages 3 to 5 and give it 5 out of 5 stars. Children’s animation The Day Henry Met…? is set for the small screen in China after being acquired by Jetsen Huashi TV for a new online venture. The new deal is the latest in a raft of business for the preschool kids’ show by distributor Monster Entertainment, after The Day Henry Met…? launched on streaming service Amazon Prime Video and ComCast in the US. Chinese kids’ animation platform Jetsen Huashi Kids has picked up preschool show The Day Henry Met from Irish producer and distribution company Monster Entertainment. The series will air on the new on-demand venture from Jetsen Huashi TV. It follows a four-year-old boy as he goes about meeting various objects and people. The show has been has been aired by broadcasters in 178 countries since January 2017, including RTÉ in Ireland, Rai in Italy and Canal+ in France. Jetsen Huashi Kids works with companies such as Turner, France Télévisions, Newen and Iconix to distribute shows such as Pocoyo, Castro & Lisa, Paddington, Polo, Mysterious Cities of Gold and Ernest & Celestine. The Day Henry Met launched recently on Amazon Prime Video and Comcast in the US. The Day Henry Met…? Is making its way to China, in a deal closed by distributor Monster Entertainment! The Day Henry Met has had a number of new SVOD deals recently, including being launched on Amazon and ComCast in the US by Kid Genius. The No.1 Digital Distribution & Media broadcasting company in China, Jetsen Huashi TV – has picked up the hit pre-school show for its new on demand venture specifically for kids. Jetsen Huashi Kids, the animation department of Jetsen Huashi TV, works with many worldwide-known copyright holders; including Turner, Francetv, Newen, Iconix; and exclusively distributes more than 200 premium famous titles! Such as ‘Pocoyo’, ‘Castro & Lisa’, ‘Paddington’, ‘Polo’, ‘Mysterious Cities of Gold’ and ‘Ernest * Celestine’. The Jetsen Huashi distribution channels cover multiple screens across China, with 100% coverage on video websites, and IPTV/ Digital TV landing in 33 provinces across China. Simultaneously, Jetsen Huashi are the most important content partner of China Mobile, China Unicom and China Telecom, the three major mobile operators in China. - Hello Whale, How do you stay under water for so long? - Hello Moon, Why do you only come out at night? - Hello Car, What makes you go so fast? No matter what Henry meets, they’re always delighted to talk, laugh and share their amazing world with him. He finds out so many amazing things about his new friends, he lets his imagination run wild and imagines himself. -As a deep sea diver under the ocean with the Whale. -As an astronaut flying to the moon. -As a race car driver, in the middle of a race. Every episode ends with Henry’s mother calling him. Before he leaves he always tells his new friends it was lovely talking to them and hopes they have a nice day. The Day Henry Met…? 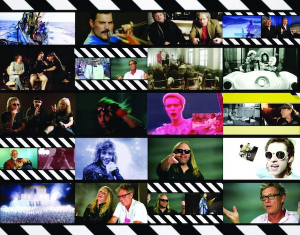 ,produced by Wiggleywoo, has proved to be very popular globally! Being picked up by many companies around the world and broadcast in 178 countries from January 2017! RTE Ireland, RAI, Canal Plus in French Speaking Europe, Africa and Caribbean, and an upcoming deal with TVP to name a few! 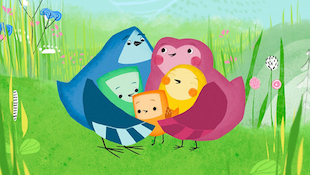 The preschool series from Irish animation company Wiggleywoo has been picked up by Jetsen Huashi TV’s new on-demand venture. 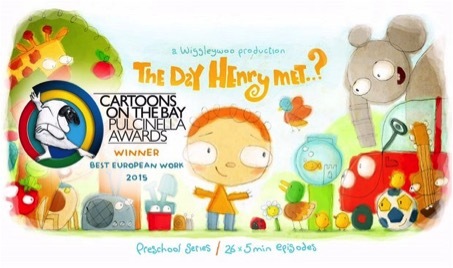 Irish animation company Wiggleywoo’s preschool series The Day Henry Met..? is heading to China, following a digital distribution deal with media broadcasting company Jetsen Huashi TV. The series is distributed by Monster Entertainment. Jetsen Huashi has picked up the series for its new kids-centric on-demand venture. Jetsen’s distribution channels include IPTV and digital TV channels in 33 provinces across China, and it is also a content partner for mobile operators in the territory including China Mobile, China Unicom and China Telecom. Jesten Huashi Kids, meanwhile, exclusively distributes more than 200 titles including Pocoyo, Castro & Lisa, Paddington, Ernest & Celestine, Polo and Mysterious Cities of Gold. The Day Henry Met..? (26 x five minutes) follows a young boy as he tries to learn more about the world around him. Since its debut, the toon has been picked up by broadcasters in 178 countries including RTE Ireland, Canal Plus (French-speaking Europe, Africa and Caribbean), ABC (Australia), YLE (Finland), Eesti (Estonia), RUV (Iceland), RAI (Italy), Kids TV (Korea), Galapagos (Poland), SVT (Sweden) and TFOUMAX (France). Ahead of its first outing to MIP Cancun (Nov. 15-17, www.mipcancun.com), Monster Entertainment has closed a deal with US media corp Olympusat which will bring much of its catalog to screens in neutral Spanish. 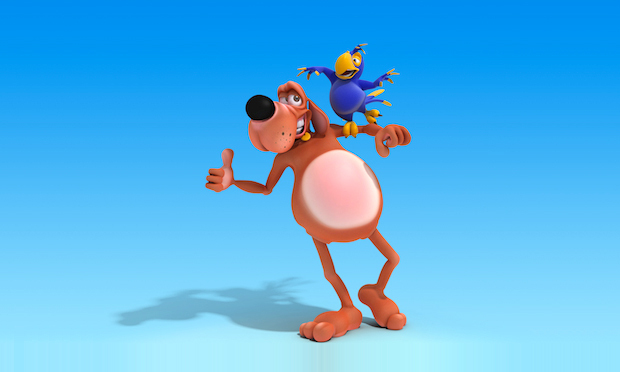 The agreement includes new series Brewster the Rooster (commissioned by RTE and recently picked up by ABC Australia, YLE Finland and JY Animation China), Misho and Robin (picked up by JY Animation China and HRT), Jabu’s Jungle (picked up by Gulli and Econet, currently the top rated series on SABC South Africa), Cleo (currently the top rated series on Clan TV Spain), as well as Fumpy Facts, Kelvin Magnetic: The Voltakid, Planet Cosmo, Rocka-Bye Island, Terror in Doomsville and The Preschoolers. These series will join Monster’s existing neutral Spanish-available catalog, including preschool hit The Day Henry Met…? (no. 1 rated pre-k series in Australia, airs internationally on Nick Jr.), I’m a Monsterand I’m a Creepy Crawly, which will be introduced to buyers at MIP Cancun. 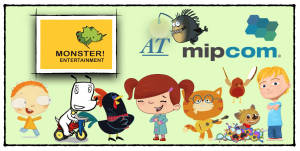 Monster also offers a number of non-verbal animated series — such as Pikkuli, Harry & Bip, Eskimo Girl, FlipFlap, Luchien, Hullabalooba, Outopus, Gazoon, Monster in a Box, and Originalos — and music programs available in Spanish. Based in West Palm Beach, Florida, Olympusat is an established leader in Hispanic television and media through its 70-plus SD and HD Spanish and English-language networks, including movie channel Cine Mexicano, Ultra HD channel Plex, and recently launched white label OTT VEMOX. Ahead of its first attendance at MIPCancun, Monster Entertainment has just closed a deal with Olympusat in the United States, which will lead too much of its catalogue being available in neutral Spanish. This will include new shows, ‘Brewster the Rooster’ (Commissioned by RTE and also recently up by ABC Australia, YLE Finland and JY Animation China), ‘Misho and Robin’ (Picked up by JY Animation China and HRT), ‘Jabu’s Jungle’ (Picked up by Gulli and Econet and currently the top rates series on SABC in South Africa), ‘Cleo’ (currently the top rated series on Clan TV in Spain) as well as ‘Fumpy Facts’, ‘Kelvin Magnetic : The Voltakid’, ‘Planet Cosmo’, ‘Rocka-Bye Island’, ‘Terror In Doomsville’ and ‘The Preschoolers’. 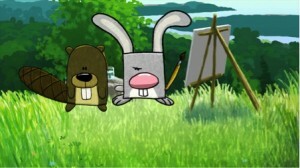 Monster Entertainment has a large catalogue of non-verbal animated shows on offer, including ‘Pikkuli’, ‘Harry & Bip’, ‘Eskimo Girl’, ‘FlipFlap’, ‘Luchien’, ‘Hullabalooba’, ‘Outopus’, ‘Gazoon’, ‘Monster in a Box’, and ‘Originalos’. Monster Entertainment also has very successful music programmes also available in Spanish. MIPCOM: Italian pubcaster Rai has acquired preschool show The Day Henry Met for Italian-speaking territories from kids’ distributor Monster Entertainment. The acquisition follows sales of the show to SVoD services throughout Europe, with Azoomee (UK), TFOU MAX (France) and Galapagos (Poland) all securing rights. Nickelodeon International has also committed to seasons three and four less than a year after acquiring the first two. The Day Henry Met follows a boy who has a conversation with everything he meets. The show will also get its own YouTube Channel to be overseen by Little Dot. Free TV broadcasters ABC in Australia and Eesti in Estonia have signed up for season three while RUV in Iceland recently acquired the first run. The Day Henry Met continues its global sales success with Italy’ s public national broadcaster, RAI having picked up the hit pre-school show for Free TV in Italian-speaking territories. 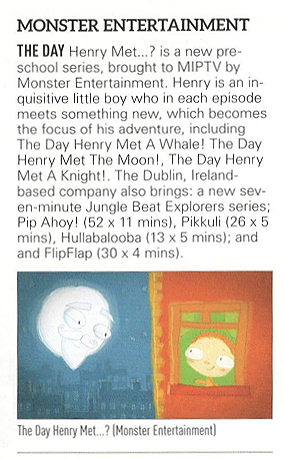 The Day Henry Met has also just been sold to other SVOD channels throughout Europe with Azoomee (UK), TFOUMAX (France), and Galapagos (Poland) all securing the rights to the show. It will also get its own YouTube Channel which will be overseen by Little Dot. The Day Henry Met has had such great ratings that Nickelodeon International, less than a year after picking up seasons 1 and 2, has renewed the rights for these seasons as well as committing to seasons 3 and 4. The Day Henry Met is ranked as the top-rated pre-school series in Australia on Nick Junior with Nick Jr. UK ranking it as the number 8 show on the kid’s channel. The series continues to hold the attention of young audiences the world over with Free TV broadcasters ABC Australia, and Eesti in Estonia all signing up for season 3 as well. RUV in Iceland has just picked up Season 1 of the show. O’ Brien publishing has closed a deal for a series of picture books based on the show’s format for release in Ireland and the UK. “We are delighted to be working with Monster, and Henry’s creator, Gilly, on these wonderful books for young readers”. Brewster the Rooster (26 x 7’, Ages 4-7) Follows six-year-old Maggie and her unique new pair of friends on their entertaining and thought-provoking journey of discovery; produced by Salty Dog Pictures (Ireland) with assistance from IFB and RTE, sold to ABC (Australia), YLE (Finland), Good TV (Taiwan) & JY Animation (China). I’m A Fish (52 x 2’, Ages 4-8) is the latest “I’m A..” series and features a variety of sea creatures who introduce viewers to their underwater world with all sort of fun and interesting facts about their lives; produced by Salty Dog Pictures and Monster Ent., pre-sold to Knowledge (Canada), ABC (Australia) and Noga (Israel). Casparade (13 x 7’, Ages 5-9) is about little rascal Caspar and his best friend Ada who find unexpected solutions to questions dealing with friendship, loyalty and the weirdness of adults; produced by Human Ark (Poland), presold to Canal Plus Poland. Noah’s Park (14 x 22’, Ages 3-6) takes the animals off the ark and into the park, following Dreamer the rhino, Honk the camel, Stretch the giraffe and their friends, combining puppets, costumes, stop-mo and CGI. IB the Dog (26 x 3-4’, Ages 3-6) is a charming short-form about a little dog who thinks up creative solutions to new challenges; produced by Klassefilm (Denmark) and PortaPlay, presold to DR (Denmark). Cleo (S1 & 2, 78 x 7’) centers on a happy puppy and her best friend Irma who encourage innovative problem solving with all the doggy mischief they create; No. 1 on RTVE’s Clan (Spain), S1 sold to RTP (Portugal), JimJam (Pan-Europe & Middle East), HBO Spain, Disney Asia, Amazon India. Misho & Robin (30 x 5’, Ages 3-6) are two adorable characters who always have fun with their little friends, educating kids about the big wide world; sold to HRT (Croatia), Why J-Kids (Korea), JY Animation, HooplaKidz. 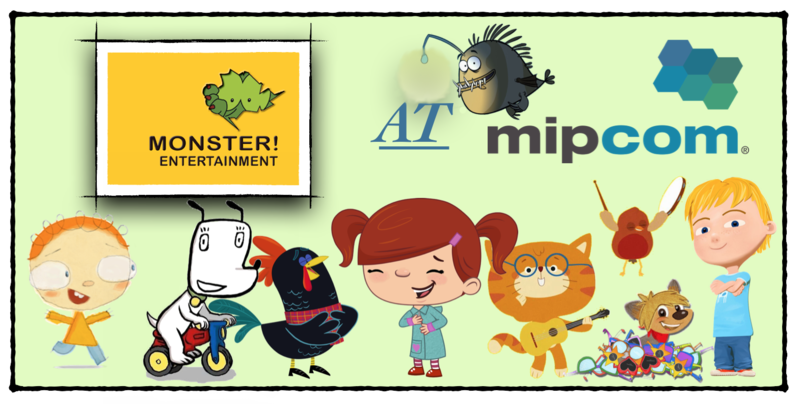 MIPJUNIOR: Broadcasters in Denmark and Poland have pre-bought two animated series that will be on the slate of Irish distributor Monster Entertainment at Mipcom. DR in Denmark will air IB the Dog (26×3’30”), which is produced by Danish companies Klassefilm and PortaPlay and follows a little dog as he encounters new experiences. Meanwhile, Canal Plus in Poland is on board action adventure series Casparade (13×7′), which comes from Polish firm Human Ark and follows a boy and his best friend as they find unexpected answers to questions. Monster Entertainment will be in Cannes with a slate that also includes Peek Zoo (26×6′), a show about the adventures of a zookeeper that has been commissioned by Irish broadcaster RTÉjr from Irish studio Igloo Films. 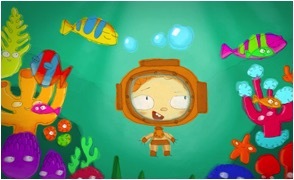 Elsewhere, I’m A Fish (52×2′) teaches children fun facts about sea creatures and has been pre-sold to broadcasters including Knowledge in Canada, ABC in Australia and Noga in Israel. 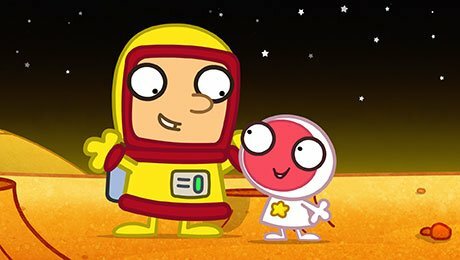 The show recently debuted on commissioning broadcaster RTÉjr. Other shows include Brewster The Rooster (26×7′), Noah’s Park (14×22′), Misho & Robin (30×5′) and Cleo. Broadcasters in Australia and Israel have acquired the latest children’s animation series from Irish producer and distributor Monster Entertainment. 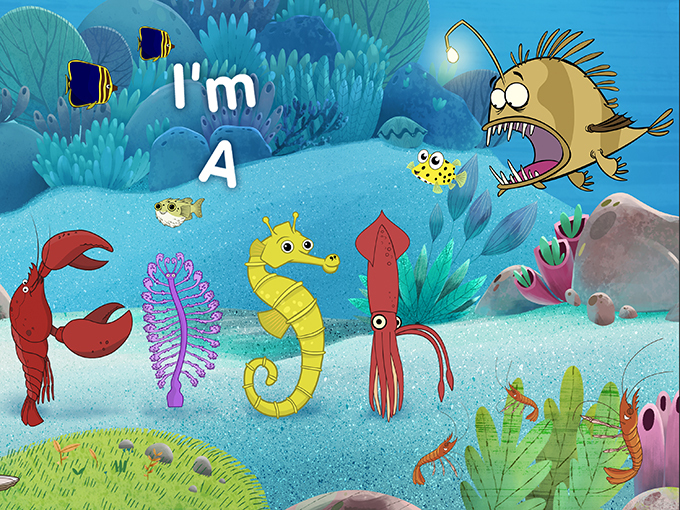 ABC in Australia and Noga Communications in Israel will air the 52-episode series I’m a Fish, which recently debuted on commissioning broadcaster RTÉjr in Ireland. I’m a Fish is aimed at four- to eight-year-olds and teaches children fun facts about sea creatures. Monster has also agreed a deal with distribution firm JY Animation, which will represent the series in China. The show is the third in Monster’s I’m a… series and follows I’m a Creepy Crawly and I’m a Monster, both of which have been acquired by broadcasters including YLE in Finland, DR in Denmark and TVO in Canada. 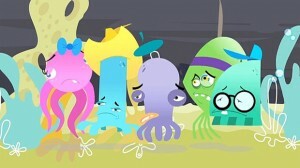 The RTE-commissioned animated series from Ireland’s Monster Entertainment made its RTEjr debut on September 30. Irish kidcaster RTEjr has premiered I’m A Fish, the third season in the I’m A…animated series from Ireland’s Monster Entertainment. Monster Entertainment have sold brand new Irish children’s animation ‘Brewster the Rooster’ to a number of major broadcasters ahead of its planned launch at MIP Junior in October. The new series from Salty Dog Pictures follows the adventures of six-year-old Maggie and her best friend Brewster as they find out the answers to questions only children could think to ask! It premiered on Ireland’s RTE on 1st July 2017 and has since had global success, having been picked up by channels in the USA, Asia, Australia and Europe. Broadcasters including ABC Kids in Australia and YLE in Finland have picked up Irish children’s animation Brewster the Rooster from distributor Monster Entertainment. The show, produced by Salty Dog Pictures, follows the adventures of six-year-old Maggie and her best friend Brewster as they find out the answers to questions only children could think to ask. The show is launching at MipJunior in Cannes next month but Monster has already sealed deals with ABC, YLE, Good TV in Taiwan and JY Animation, which will translate it into Mandarin. The series premiered on Irish pubcaster RTÉ in July. Children’s broadcaster Nickelodeon has picked up two more seasons of Irish animated series The Day Henry Met for its international channels. The channel will air the third and fourth seasons of the preschool series and has renewed its rights to season one and two in a deal with the show’s distributor, Monster Entertainment. Nick first picked up the show in 2016 to air across Europe, Russia, Israel, Australia, New Zealand, Africa, Asia, the Middle East and Latin America. Dublin-based Wiggleywoo produces the show, which was sold to RTÉ in its homeland, TV Ontario and Knowledge Network in Canada, ABC in Australia and YLE in Finland, as well as other broadcasters. 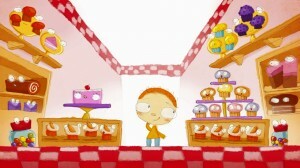 The toon follows a charming, inquisitive boy who meets something new in each episode. Ireland’s Monster Entertainment has new kids shows for buyers at MIPTV. These are Misho & Robin (pictured), which comes from Recircle in Croatia and has been picked up by the territory’s pubcaster, HRT. The 30x5mins show for 3-to-6s aims to bring together stories of adventure, friendship and the joys of helping others and being well mannered. Also debuting is Noah’s Park, a 1422mins series from a US prodco of the same name. 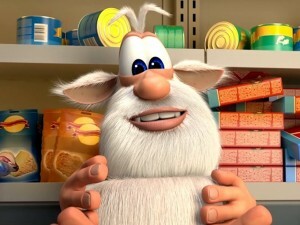 The show follows animals after they have left Noah’s Ark and set off on an adventure to find a new home. Monster is also in town selling season two of Cleo, which runs to 39 seven-minute episodes and was coproduce by La Casa Animada and RTVE. A broadcaster in Latin America has acquired two seasons of music series Video Killed the Radio Star from Monster Entertainment in Ireland. DirecTV has picked up seasons five and six of the show and will broadcast it in 35 territories across Latin America and the Caribbean on entertainment channel OnDirecTV. 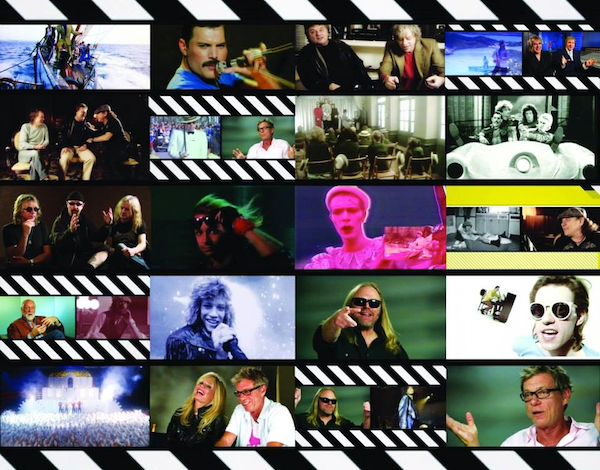 The series features archive content and original interviews featuring artists such as David Bowie, Tom Petty, Lou Reed, Aretha Franklin, Bjork, Billy Idol, Robbie Williams, Blur, Depeche Mode, Crowded House, ZZ Top, Roxy Music and Brian Ferry. It has already been acquired by broadcasters including Sky Arts in parts of Europe, Telefonica in Spain, YLE in Finland, SVT in Sweden and SRF in Switzerland. Disney has picked up newly completed animation series Harry & Bip from distributor Monster Entertainment for its CEMEA channels. 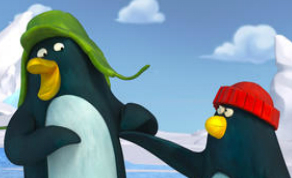 The 15×2’ non-verbal CGI comedy series focuses on two energetic young penguins. It is directed by Leevi Lemmetty and produced by Tamsin Lyons of Ink and Light and Muste ja Valo Oy in association with Irish broadcaster RTÉ, Finland’s YLE, the Finnish Film Foundation and the Irish Film Board. Irish distributor Monster is shopping the show internationally and has already secured the deal with Disney and a sale to SRC for French-speaking Canada. Further episodes are already in development. Monster Entertainment has picked up distribution of the newly completed animation series ‘Harry & Bip’, and has already sold it to Disney for all of Central Europe, Middle East and Africa and to SRC for French-speaking Canada. 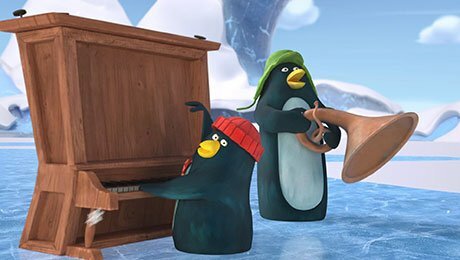 ‘Harry & Bip’ is a new non-verbal CGI comedy series about two energetic young penguins who are all about the three ‘F’s… Fun, Fish and Friends! The 15x2minute series is directed by Leevi Lemmetty and produced by Tamsin Lyons of Ink and Light and Muste ja Valo Oy in association with RTÉ, YLE, Finnish Film Foundation and the Irish Film Board. Additional support comes from the Section 481 incentive in Ireland. Further episodes are in development. Voices are provided by Antti Pääkkönen (‘Angry Birds Toons’) and music by Mark Thomas (‘Shaun the Sheep’, ‘The Magic Roundabout’). Additional writing by Dave Rudden, children’s author – 2016 Irish Book Awards winner ‘Knights of the Borrowed Dark’). The series follows Harry and Bip, who live in a vast icy expanse which they can’t wait to explore. They navigate their friendship, and the world around them with physical humour, slapstick comedy and a lot of heart. They’re competitive and love to play pranks, but would do anything for each other if needed. The pair bump into other local residents from time to time. A sleepy walrus or two, a horde of seagull tourists and delicious fish all encounter the boisterous heroes during their exploits. Dublin-based Monster Entertainment has flown the coop for Singapore and its first Asia Television Forum, and it brought along some of its most animated friends. The distributer is highlighting Irish productions Brewster the Rooster, The Day Henry Met..? and I’m a Fish, as well as dialog-free Scandinavian toon Pikkuli. 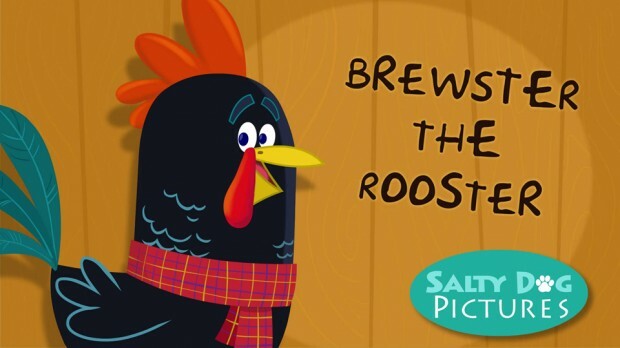 Brewster the Rooster is a new 26 x 7 series from Dublin’s Salty Dog, produced with assistance from the Irish Film Board and commissioned by RTE. 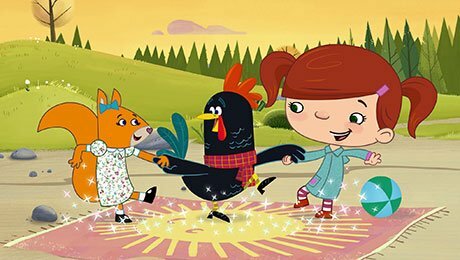 Set for delivery in May 2017, the show follows six-year-old Maggie and her best friend Brewster, who just happens to be a rooster, as they explore their island home making discoveries about the animals that inhabit it. The Day Henry Met..? 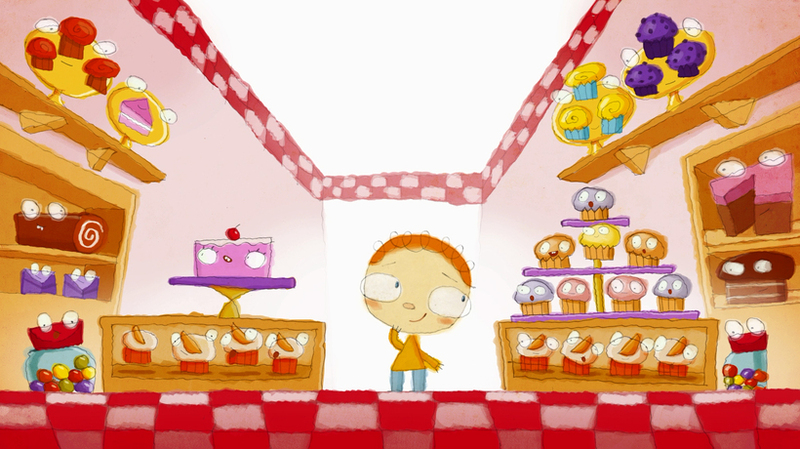 (26 x 5) from Wigglywoo follows curious four-year-old Henry who is eager to meet new and interesting things every day and find out all he can about them. Nickelodeon currently holds Pay TV rights for season one in Asia, and season two drops this month, with Free TV and SVOD rights available from July 2017. Henry is the No. 1 preschool series in Australia (Nick Junior) and has sold to RTE (Ireland), Canal+ and Piwi+ (French-speaking territories), YLE (Finland), SVT (Sweden), ABC (Australia); TVO, TFO and Knowledge (Canada); Why J (Korea), TV Estonia and HMH (US). The I’m a series continues with I’m a Fish, coming in 2017. I’m a Creepy Crawly sold to DRTV (Denmark), YLE (Finland), TVO (Canada), ABC (Australia), Discovery Networks (Pan-Asia) and Al Jazeera (Middle East) — it and the other popular previous seasons I’m an Animal, I’m a Dinosaur and I’m a Monster have led the way for I’m a Fish, which dives into the deep blue sea discover all sorts of fun, interesting and scary facts straight from the fish’s mouth! Last but not least, Pikkuli (26 x 5) is a versatile and educational preschool series from Finland’s Sun in Eye Productions, available both dialog-free and narrated. The adventures of the plucky little bird have won over broadcasters around the globe, including KiKA (Germany), Nordisk (Scandinavia), Hop! (Israel), Why J (S. Korea), Urania (Czech Rep.), Galapagos (Poland) and Hayat TV (Bosnia & Herzegovina). Nickelodeon Northern Europe has announced the exciting news on Nickelodeon Germany’s “Nick Pressecenter” that Nickelodeon Northern Europe will start to premiere and show the brand-new animated preschool series The Day Henry Met..?weekdays at 06:20 Uhr on Nickelodeon Germany (Deutschland) and daily at 08:55 Uhr on Nickelodeon Austria (Österreich) and Nickelodeon Switzerland (Schweiz) from Monday 23rd January 2017! Aimed at the preschool audience, The Day Henry Met..? (52 x 5mins) is a 2D animated preschool series that encourages children to use their imagination and discover the world around them through play and adventure. In every episode Henry, a charming, inquisitive Irish lad, meets something new, which becomes the focus of his journey of discovery and adventure, ultimately teaching viewers about real-life objects and occupations. The Day Henry Met a Whale!, The Day Henry Met the Moon!, The Day Henry Met a Postman!, The Day Henry Met a Knight! Hmmm, I wonder what Henry’s going to meet today? The news follows Nickelodeon acquiring the international broadcast rights for The Day Henry Met in July 2016, following successful launches on Nick Jr. UK & Ireland and Australia & New Zealand, where the series has built a legion of young fans. The Day Henry Met is produced by Dublin-based Wiggleywoo and distributed by Monster Entertainment. It has now been sold to 177 territories worldwide, including to RTE in Ireland; TV Ontario, Television Francaise Ontario and Knowledge Network in Canada; Canal Plus for all French-speaking territories worldwide; ABC in Australia; Kids TV in Korea; YLE in Finland; SVT in Sweden; and HMH in the U.S. 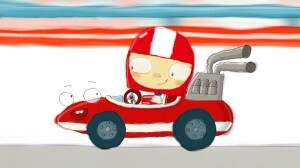 The series is funded by RTÉjr, The Irish Film Board, Section 481, Creative Europe and pre-sales. 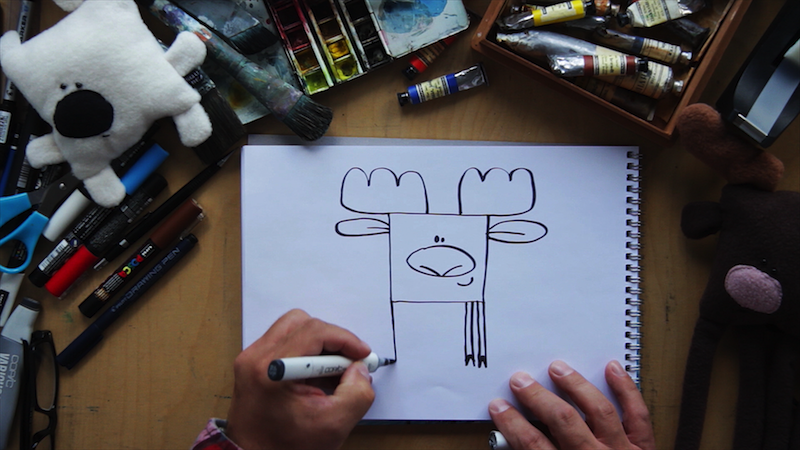 The colourful, hand-drawn series is ideal for preschoolers. A second season of The Day Henry Met recently launched in October 2016 on RTÉjr in Ireland. The Day Henry Met..? won The Pulcinella Award for the Best European Work at Cartoons on the Bay in Venice in April 2015, and recently won the Best Animation award at the Irish TV Gala Awards in October 2016. The show was launched at MIP Junior 2015. Additional source: Nick News (I, II). ‘Harry and Bip’ is an Irish-Finnish co-production, produced by Ink and Light and Muste ja Valo with support from Bord Scannán na hÉireann/the Irish Film Board, RTÉ and the Finnish Film Foundation. Monster Entertainment is the Distributor. An animated comedy series for children, ‘Harry and Bip’ premiered on RTÉ 2 earlier this week (14thDecember), with episodes airing daily at 12.40pm. The short 15 x 2 minute series follows penguins, Harry and Bip, as they slip, slide and splash across their vast icy home. Whether they are having a dance-off with some seagulls, trying to walk over the moon, or building a BBQ on the ice, the penguins always have an adventure up their sleeve. Meet the other local residents who appear from time to time. A sleepy walrus or two, a horde of seagull tourists and of course slippery fish all get caught up in our heroes’ schemes. We offer our congratulations to the most recent Irish beneficiaries of the Creative Europe MEDIA Programme funding schemes - Single Project Development and Television Programming Support. In Single Project Development, awards totalling €145,000 were offered. The supported projects include two animation projects. The first is Hunted! from Monster Entertainment as well as Jelly Pixies from Light Cube Studios. Galway-based company, Léirithe Rúnda, also received Single Project Development funding for their documentary, Farewell to Music. €570,000 was awarded through the TV Programming Support scheme to the Irish animation, Peckles, from Jam Media and to the documentary, Cuba’s Wild Revolution, from Crossing the Line Productions. These awards have brought the total investment in 2016 by Creative Europe MEDIA into Irish companies to over €1.5 million. Five of the Irish company’s pre-school programmes will now be available on the leading app, which makes content available in twenty five countries. ‘Pikkuli’, ‘Counting with Paula’, ‘Hippothesis’, ‘Tiny Square Critters’ and ‘Planet Cosmo’ will be available on the App’s Subscription Video on Demand Service from this November in the U.S, Canada, Australia & New Zealand, Ireland and the U.K.
Irish-produced series ‘Planet Cosmo’ has previously been acquired by Discovery Channel Middle East, with ‘Pikkuli’ also having been acquired by Kika, a German children’s channel and ‘Tiny Square Critters’ airing in China from JY Animation. C21 NEWS BRIEF: Children’s video-on-demand app PlayKids has acquired a handful of kids’ TV series from Irish distributor Monster Entertainment. The package includes Pikkuli, Counting With Paula, Hippothesis, Tiny Square Critters and the Irish series Planet Cosmo. The shows will be available on the SVoD service from next month in the US, Canada, Australia, New Zealand, Ireland and the UK. A new deal with Monster Entertainment will see telecom giant Econet Media air the animated series in 17 African countries. A new agreement with Irish distributor Monster Entertainment will see telecom giant Econet Media broadcast Jabu’s Jungle in 17 African countries. Targeting children ages four to seven. Jabu’s Jungle features the animals and scenery of Africa. It is produced by South African studio Pixcomm in Cape Town’s Masiphumelele Township, and young local animators and illustrators are receiving training and internships through the series as they work with industry professionals. Monster Entertainment previously struck a deal with Gulli Africa for Jabu’s Jungle, which has also been picked up by South African pubcaster SABC. The 13 x 22-minute production follows the success of its fellow Monster Entertainment-distributed series Jungle Beat, another South African show that has sold to 190-plus territories. 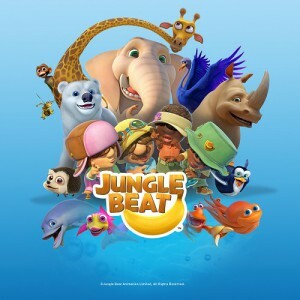 Jungle Beat—a non-dialog CGI-animated series—launched its first mobile game app last year and is currently working on additional digital and licensing activities. 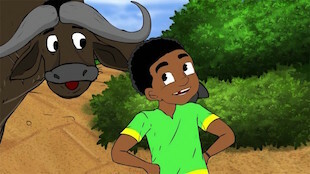 Africa’s Econet Media has bought South African animated kids series Jabu’s Jungle and will broadcast it in 17 territories. Gulli in Africa and South African network SABC have already bought the show from Ireland-based distributor Monster Entertainment. The 4-7-targeted 13x22mins series follows the nine-year-old Jabu and his magic talking drum as they explore the jungle helping animals in need. Monster Entertainment has negotiated a broadcast deal with Econet Media for hit South African series, ‘Jabu’s Jungle,’ catering to children aged 4-7 years. Econet Media will broadcast the animated series in 17 African countries, with SABC and Gulli Africa also having picked up the series. .The 13 x 22min series ‘Jabu’s Jungle’ follows the adventures of Jabu, an intrepid nine-year-old, and his Magic Talking Drum. Jabu explores the Jungle helping animals in need. Along the way we’ll meet plenty of friends who join in the fun – but watch out for naughty Van the Vulture! Set to a vibrant Afro pop soundtrack and featuring a host of colourful animal characters, ‘Jabu’s Jungle’ has a unique African look and feel and introduces children to the wonders of Africa’s animals and exotic locations. The series is produced in Masiphumelele Township and provides training and interships for young township animators and illustrators. As ‘Jabu’s Jungle’ is being produced by Pixcomm in Cape Town’s Masiphumelele township the series utilizes a unique production approach that partners experienced animators with residents from the township. Working side by side with industry professionals, the talented, young artists are given a hands-on, apprentice style training that allows them to earn money as they learn. Being based in a township, Pixcomm has managed to take the work and the training to the community and the results are exciting and fresh. Canadian children’s VoD service Ameba TV has added 150 episodes of international animated programming from Irish firm Monster Entertainment. Titles picked up in the deal include French-produced non-dialogue 3D show Gazoon, Hullabalooba, Finland’s Pikkuli, Ireland’s Rocka-Bye Island and Costa Rican slapstick children’s comedy Outopus. “Monster Entertainment has expanded our catalogue in a big way, bringing a mixture of internationally loved programmes,” said Tony Havelka, president of AmebaTV. It comes after Ameba TV announced earlier this year that it had expandedits reach in North America by securing a place for its streaming app on the Xbox 360 console. Nickelodeon has scooped the international rights toThe Day Henry Met, a preschool series from Monster Entertainment and Wiggleywoo. The Viacom kids net has acquired the animated show for its international channels and will air it in the EMEA region, Asia Pacific and Latin America. The latest deal builds on an earlier agreement that saw the pay TV net buy the series in the UK and Australia. It has now bought both 26x5mins seasons of The Day Henry Met. It is distributed by Monster Entertainment and produced by Wiggleywoo, both of whom are based in Dublin, Ireland. In Ireland it plays on RTÉ. The Day Henry Met follows the adventures of the eponymous young boy as he embarks on amazing journeys of discovery. 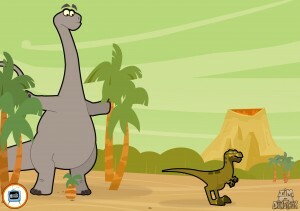 Monster Entertainment’s award-winning preschool series headed to air in markets across six continents. DUBLIN, IRELAND - Monster Entertainment and Wiggleywoo have announced that Nickelodeon has acquired the international broadcast rights to the award winning pre-school series The Day Henry Met, across markets on six continents, including Sweden, Norway, Denmark, Finland, Iceland, Benelux, GSA, Greece, Italy, Portugal, Central & Eastern Europe, Russia, Israel, Africa, South East Asia and Asia Pacific, India, the Middle East and Latin America. Nickelodeon already holds the rights to the series in the UK and Australia. Henry was the top rated pre-school series on Nick Jr, Australia and is building a legion of young fans on Nick Jr UK and around the world. The Day Henry Met has now been sold to 177 territories worldwide. Nickelodeon will now carry the current Season of 26 x 5 minute episodes and Season 2 (also 26 x 5 minute episodes) which is currently in production. The Day Henry Met is produced by Dublin-based Wiggleywoo Ltd and distributed by Monster Entertainment. 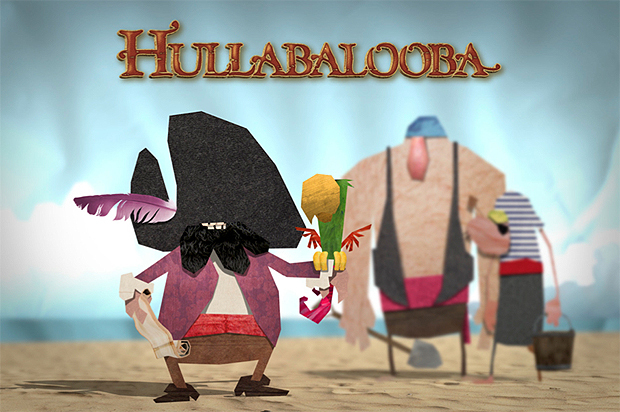 The series won the Pulcinella Award for Best European Work at Cartoons on the Bay in 2015. The Day Henry Met has also been sold to RTE in Ireland, TV Ontario, Television Francaise Ontario and Knowledge Network in Canada, Canal Plus for all French speaking territories worldwide, ABC in Australia, Kids TV in Korea, YLE in Finland, SVT in Sweden and HMH in the US. Nickelodeon has acquired the international broadcast rights to two seasons of the Irish animated preschool show The Day Henry Met. Nick, which already airs the series in the UK and Australia, will bring it to its channels in Africa, Asia, Latin America and the Middle East, as well as more parts of Europe. This includes Sweden, Norway, Denmark, Finland, Iceland, Benelux, Greece, Italy, Portugal and Central and Eastern Europe. 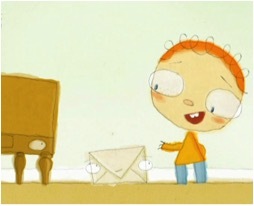 Produced by Dublin-based Wiggleywoo, the series follows a charming, inquisitive boy who meets something new in each episode. It premiered on Irish pubcaster RTÉjr last year and has also been picked up by broadcasters such as ABC in Australia, TVO in Canada, YLE in Finland, SVT in Sweden, Canal+ in France and Kids TV in Korea. Wiggleywoo took home the award for best European work for the series at last year’s Italian animation festival Cartoons on the Bay. 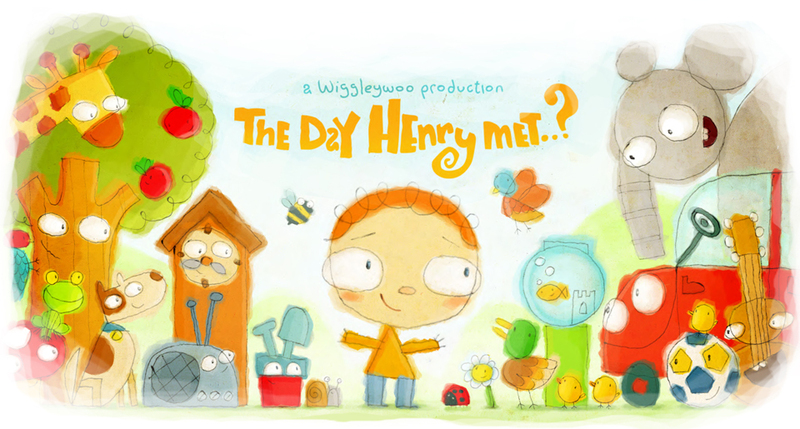 Following a deal with Dublin-based distributor Monster Entertainment, broadcast rights to Irish prodco Wiggleywoo’s The Day Henry Met have been picked up for multiple territories by Nickelodeon, which already airs the preschool series on Nick Jr. in the UK and Australia. Nickelodeon will now air the series in Sweden, Norway, Denmark, Finland, Iceland, Benelux, GSA, Greece, Italy, Portugal, Central & Eastern Europe, Russia, Israel, Africa, Southeast Asia and Asia Pacific, India, the Middle East and Latin America. Nick has licensed the first 26 x five-minute episode season, as well as the show’s second season, which is currently in production.The Day Henry Met, which debuted on Irish pubcaster RTÉ Television’s preschool channel RTÉ jr last June, has been sold to TV Ontario, Television Francaise Ontario and Knowledge Network in Canada, Canal+ for all French speaking territories worldwide, ABC Australia, Kids TV (Korea), YLE (Finland), SVT (Sweden) and Houghton Mifflin Harcourt (US), where it is available on the company’s subscription-based content service Curious World. 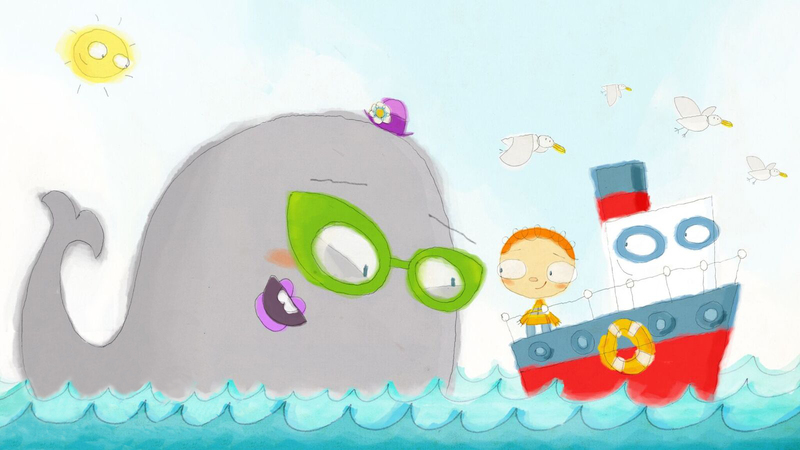 DUBLIN: Nickelodeon has acquired the international broadcast rights for the award-winning preschool series The Day Henry Met, which currently airs on Nick Jr. in the U.K. and Australia. The show’s 26×5-minute first season will air in Scandinavia, Iceland, Benelux, Greece, Central and Eastern Europe, Russia, Israel, Africa, Southeast Asia, India, the Middle East and Latin America, among other markets. 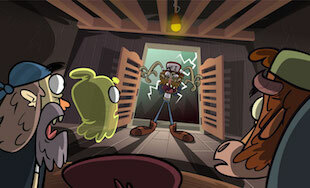 Nickelodeon will also eventually broadcast the series’ second run, currently in production. The Day Henry Met is produced by Dublin-based Wiggleywoo and distributed by Monster Entertainment. 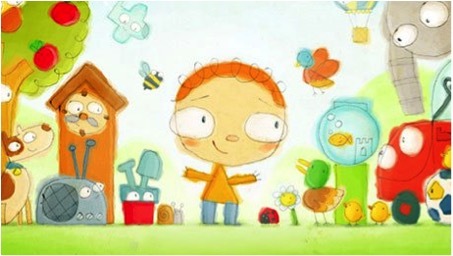 It has additionally been sold to RTÉ in Ireland; TV Ontario, Television Francaise Ontario and Knowledge Network in Canada; CANAL+ for all French-speaking territories worldwide; ABC in Australia; Kids TV in Korea; YLE in Finland; SVT in Sweden; and HMH in the U.S.
Nickleodeon has acquired the rights to The Day Henry Met and the show has now been sold to 177 territories worldwide. The popular cartoon centres on Henry who every day meets someone or something new, be it a whale, the moon or a car. The Day Henry Met was the top rated pre-school series on Nick Jr, Australia and is building a legion of young fans on Nick Jr UK and around the world. Nickelodeon will now carry the current Season of 26 5-minute episodes and Season 2 (also 26 5-minute episodes) which is currently in production. The Day Henry Met has also been sold to RTE in Ireland, TV Ontario, Television Francaise Ontario and Knowledge Network in Canada, Canal Plus for all French-speaking territories worldwide, ABC in Australia, Kids TV in Korea, YLE in Finland, SVT in Sweden and HMH in the US. The new deal will see the show broadcast in regions that include Sweden, Norway, Denmark, Finland, Iceland, Benelux, GSA, Greece, Italy, Portugal, Central & Eastern Europe, Russia, Israel, Africa, South East Asia and Asia Pacific, India, the Middle East and Latin America. San Jose, Costa Rica’s Rocket Cartoons has sold its new 2D-animated Halloween special Terror in Doomsville to Cartoon Network Latin America. Debuting in October, the 22-minute special will mark the first broadcast of a Costa Rican project on the kidnet. Written by Tommy Donbavand, author of children’s horror books and creator of the BBC series Scream Street, Terror in Doomsville follows the adventures of four truckers who suffer at the hands of a terrible monster stalking the town. Cartoon Network holds rights in LatAm, while Ireland’s Monster Entertainment is handling distribution in all other territories. Since launching in 2008 under the leadership of digital animation specialist Leonardo Trinidad, family-run Rocket Cartoons has produced a number of 2D-animated kids series, including Ivick Von Salza, short-form preschool series Yum Yum and You, holiday special A Christmas with Yum Yum and You, and new comedy series Volta Kid, which is currently in production. The deal comes as Cartoon Network continues to strengthen its presence within the LatAm region. Recently, the net partnered with Mexican studio Anima Estudios on an open-call initiative for projects from young local creators. Canada-based AmebaTV is joining forced with Ireland’s Monster Entertainment to bring an extensive range of titles to the streaming platform. The new deal will provide AmebaTV with over 150 episodes from Monster’s library of internationally popular animated content. Among the selection set to hit the U.S. streaming service are notable titles such as the French-produced ‘Gazoon’, Finland’s ‘Pikkuli’, Ireland’s ‘Rocka-Bye Island’, and Costa Rica’s ‘Outopus’. 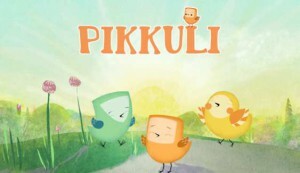 Monster Entertainment has sold animated preschool series Pikkuli to Germany’s MDR. The non-dialog series will broadcast on KiKA from August 19 through September 13, 2016, airing Monday through Friday at 7:05 a.m. The 26 x 5-minute series follows a little bird named Pikkuli. 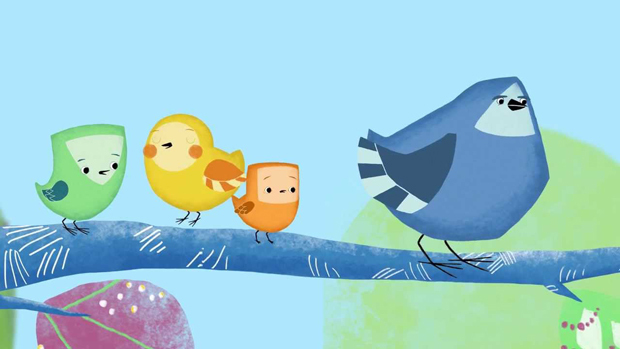 Warmhearted and stubborn, the young bird explores the world with his family and friends by his side. The short format animations show that even life as a bird can be marvelous and sometimes complicated when you are the youngest member of your family. Produced by Finnish studio Sun-in-Eye, Pikkuli is a 360 concept including mobile apps and games inspired by the TV series, which allow users to play drums in Woody’s old car, sing along with Hazel Grouse’s Chicks, search for lost Chicks in the Mole’s maze or explore Pikkuli’s playhouse. Sun-in-Eye is in production on another 26-episode season, and will with Monster be looking for broadcast partners for seasons 1 and 2 at MIFA in Annecy and MIP Junior in Cannes later this year. 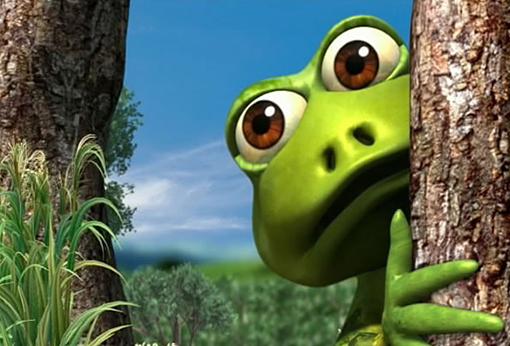 Pikkuli has already been acquired by YLE 2 and YLE Fern (Finland), TV Catalonia (Spain), Hop! (Israel), C4U Media and Kids Talk Talk (Korea), RTS (Slovakia), Galapagos (VOD, Poland), Urania (Czech Rep. and Slovakia), Hayat TV (Bosnia and Herzegovina), KMBO (theatrical, France) and Ocean New Wave (U.S.) The series is also available on the Hopster app, in-flight entertainment on several airlines and SVOD in Scandinavia through Nordisk. Un especial de Halloween producido por la empresa costarricense Rocket Cartoons, se estrenará en Cartoon Network América Latina en octubre. La empresa tica concretó el negocio tras su participación en la feria KidScreen 2016, en Miami, Estados Unidos. El especial se título “Terror en Doomsville”, donde se relata una historia divertida y de terror de cuatro camioneros que sufren del monstruo que aterroriza en Doomsville. Este especial se convirtió en el primero que Cartoon Network América Latina adquiere producido por costarricenses. “Esta adquisición confirma nuestra posición de liderazgo como productores en la región centroamericana y nos motiva a continuar con nuestra estrategia de crecimiento en propiedad intelectual”, explicó Leonardo Trinidad, presidente de Rocket Cartoons. Monster Entertainment has picked up the rights to The Last Lennon Interview, a one-off doc about John Lennon, featuring an interview with the star conducted two days before his assassination. The show went out on the Showbiz channel in the UK on the Freeview plartform. It is based around a December 1980 interview between the former Beatle and Radio 1 DJ Andy Peebles, which was at that point his first radio interview for five years. 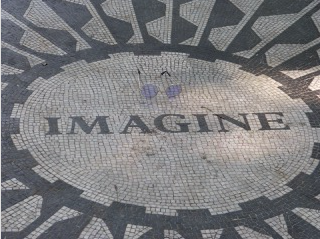 Former BBC Radio 1 DJ Andy Peebles reveals for the first time what happened during the last John Lennon interview, two days before the rock star was murdered. It covers the break-up of The Beatles, his personal life and relationship with Yoko Ono. 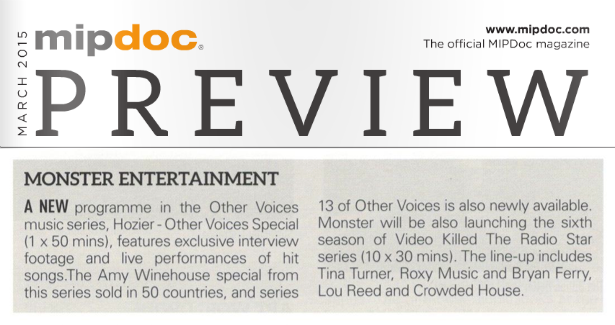 Monster will also launch another music-related doc at MIPCOM, ARTE and ZDF’sKings of the World. The one-off 4K doc tells the story of thee gypsy clans that have a rich musical heritage, including the Reyes family, which produced The Gypsy Kings. Dublin-based Monster Entertainment has secured a broadcast deal with Gulli AFRICA for new South African-produced series Jabu’s Jungle. The series will be aired across 22 French-speaking African countries through the deal. 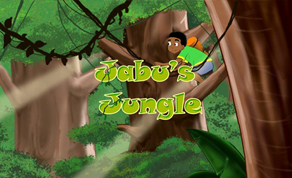 Aimed at kids 4-7, Jabu’s Jungle (13 x 22) is an animated adventure series that follows Jabu, an intrepid nine-year-old, and his Magic Talking Drum as they explore the jungle, helping animals in need. Along the way they meet plenty of friends who join in the fun, but need to be always on the lookout for naughty Van the Vulture. Set to a vibrant Afro-pop soundtrack, Jabu’s Jungle has a unique African look and feel and introduces children to the wonders of the continent’s animal life and exotic locations. A Pixcomm production, Jabu’s Jungle is being made in Cape Town’s Masiphumelele township utilizing a unique production approach that partners experienced animators with residents from the township. Working side by side with industry professionals, the talented, young artists are given a hands-on, apprentice style training that allows them to earn money as they learn. Being based in a township, Pixcomm has managed to take the work and the training to the community and the results are exciting and fresh. Season 2 is currently in production, to be launched by Monster Ent. at MIPJunior this fall. Monster also distributes South African series Jungle Beat — broadcast in 196 territories so far — and Magic Cellar, which also recently sold to Gulli AFRICA. Canal + buys all European, Caribbean and African French-speaking rights to hit preschool series produced by Dublin-based Wiggleywoo. DUBLIN, IRELAND – Monster Entertainment has announced that Canal + has bought all European, Caribbean and African French-speaking rights to hit pre-school series, The Day Henry Met…. It will broadcast the series on both Canal+ and Piwi+ in France, Switzerland, Belgium, Luxembourg, Haiti, Vanautu together with French-speaking territories in Africa. Groupe Média TFO has bought Canadian French-speaking rights. Both broadcasters have bought the existing Series of 26 x 5 minute episodes and have pre-bought Series 2 (also 26 x 5 minute) which is scheduled to start production in the first quarter of 2016. The Day Henry Met… is produced by Dublin-based Wiggleywoo and distributed by Monster Entertainment. The series, which won the Pulcinella Award for Best European Work at Cartoons on the Bay in 2015, was recently the top rated pre-school series in Australia when broadcast on Nick Junior. It will also debut on ABC in Australia later in the year and ABC Home Entertainment has picked up the Australia and New Zealand home entertainment rights. It has also recently been picked up by WhyJ in South Korea. The series has previously been sold to RTE in Ireland, Nick Junior in the UK and Australia, TV Ontario and Knowledge Network in Canada, YLE in Finland, SVT in Sweden and HMH in the US. Canal + has bought all European, Caribbean and African French-speaking rights to hit pre-school series, ‘The Day Henry Met…’. They will broadcast the series on both Canal+ and Piwi+ in France, Switzerland, Belgium, Luxembourg, Haiti, Vanautu together with French-speaking territories in Africa. Groupe Média TFO has bought Canadian French-speaking rights. Both broadcasters have bought the existing Series of 26 x 5 min. episodes and have pre-bought Series 2 (also 26 x 5 min.) which is scheduled to start production in the first quarter of 2016. 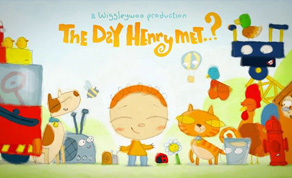 ‘The Day Henry Met…’ is produced by Dublin-based Wiggleywoo and distributed by Monster Entertainment. The series, which won the Pulcinella Award for Best European Work at Cartoons on the Bay in 2015, was recently the top rated pre-school series in Australia when broadcast on Nick Junior. It will also debut on ABC in Australia later in the year and ABC Home Entertainment has picked up the Australia and New Zealand home entertainment rights. It has also recently been picked up by WhyJ in South Korea. A new interactive content app for preschoolers, Curious World, has acquired Monster Entertainment-sold toon The Day Henry Met..? Global learning company Houghton Mifflin Harcourt recently launched Curious World on the App Store, and has now added Wiggleywoo-produced .? and Canadian series Hippothesis, which comes from Yowza, to its offer. The shows will be available to children in the US as part of Curious World’s line-up of games, videos and e-books, which are offered on a subscription basis. .? launched at MIPJunior in October after launching on RTEjr in Ireland, Nick Jr in the UK and Australia (the ABC also has it in the latter territory), SVT in Sweden, YLE in Finland, Knowledge Network in Canada and Eesti in Estonia. A second season of the 26x5mins series is going into production in January 2016. SINGAPORE, May 5, 2015 – (ACN Newswire) – Award-winning animation studio Omens Studios is pleased to announce the signing of Monster Entertainment Ltd as the worldwide distributor of 60 x 11′ animated series “Counting with Paula”. “We are very happy to distribute worldwide this charming and educational series for preschool children from Omens Studios. Counting with Paula has an entertaining and engaging format suitable for young audiences, and we believe that children around the world will soon be learning maths and simple problem solving with Paula and her friends,” said Ania Rozenszprung-Clinton, Senior Sales and Acquisition Executive. “Counting with Paula” is a 60 x 11′ CG animated series created and produced in HD1080 for 3 to 6 year olds by award-winning animation studio Omens Studios. 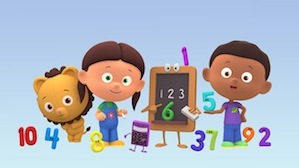 Based on highly regarded public pre-school Math curriculums such as Singapore Math and the United States’ Common Core, and developed in consultation with experts in early childhood Mathematics Education, the show makes learning about numbers, counting and shapes, fun, easy and entertaining. Drawing from critical skillsets such as letter and numerical literacy, spatial and color awareness, comprehension and social-emotional skills, the curriculum is designed to introduce and develop emergent numerical and comprehension skills in children aged 3 to 6 years old. The website for the series is at www.countingwithpaula.com, where more information and videos can be found. In additional, Counting with Paula spin-offs such as DVDs, apps, video games, books and merchandising will follow in the coming months. 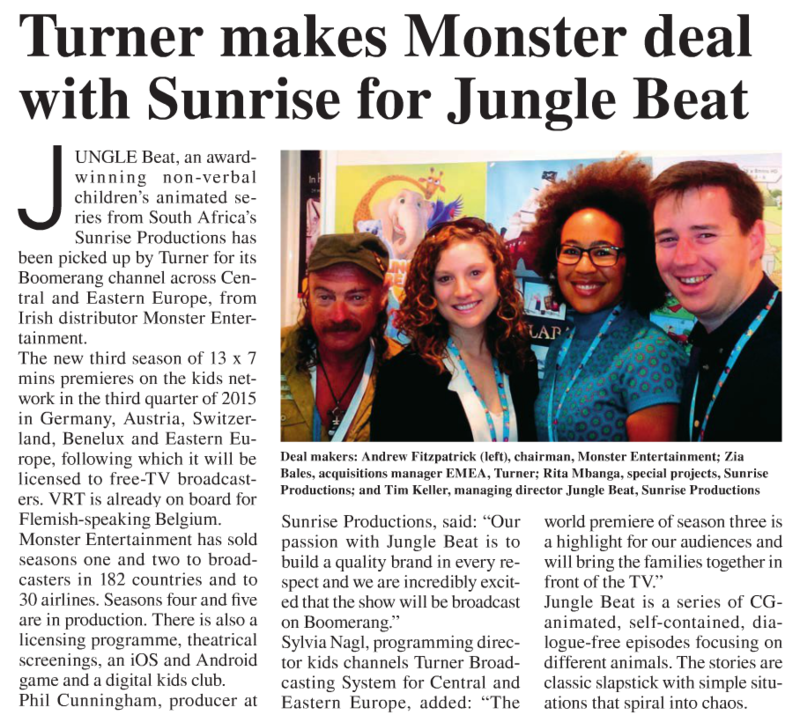 CAPE TOWN: Distributor Monster Entertainment has secured multiple international sales for the South African children’s series Jungle Beat. The animated show, produced by Sunrise Productions, follows a team of adventurers and the different animals they encounter in nature. Its latest season has been picked up by Yle in Finland, SVT in Sweden and VRT in Belgium, all of which had also secured the show’s first two seasons. SRC, a public broadcaster in French-speaking Canada, went for two seasons of the show, along with Jim Jam for multiple European territories. Meanwhile, Gulli acquired three seasons for its audience in French-speaking Africa, with NRK nabbing the new season in Norway. Cartoon Network also clinched a deal for the new season, to be broadcast throughout Latin America and Brazil. The show’s fourth season is currently in production. Following the season three launch of Jungle Beat at MIPTV, Monster Entertainment has sealed a raft of new deals for the series in Europe, Africa, North America and Latin America. 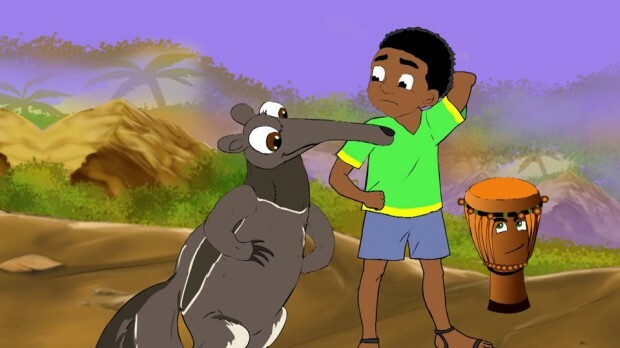 Jungle Beat, the non-dialog animated series from South Africa’s Sunrise Productions, has been scooped up by Turner Broadcasting for Boomerang channels across Central and Eastern Europe from distributor Monster Entertainment. Turner is set to premiere the third season (13 x seven minutes) in the third quarter of 2015, in Germany, Austria, Switzerland, Benelux and Eastern Europe. Following its debut in these territories, the season will be licensed to free-TV broadcasters. VRT is already on-board for Flemish-speaking Belgium. 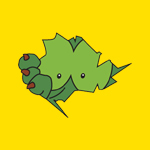 Jungle Beat focuses on different animals and bizarre situations they encounter in nature. 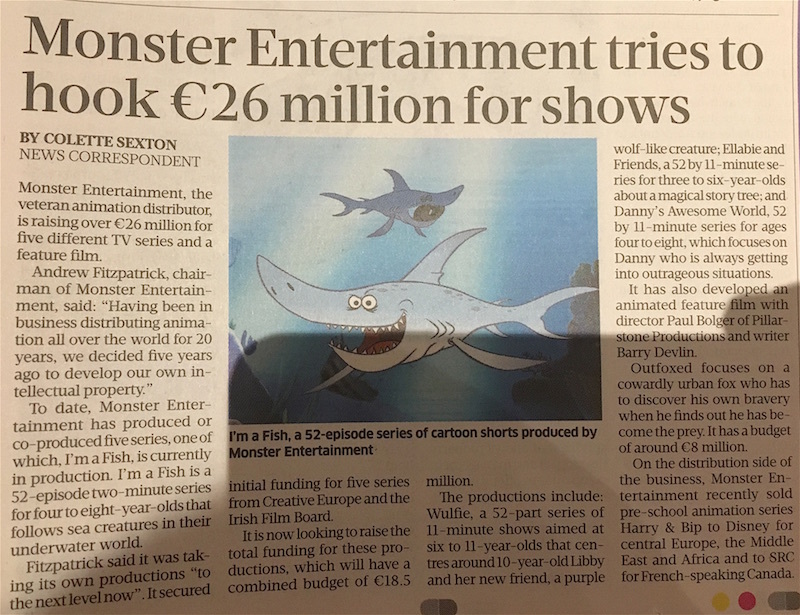 Ireland’s Monster Entertainment has sold seasons one and two to broadcasters in 182 countries, as well as 30 airlines. At present, season three is being completed with seasons four and five in production. Along with an active licensing program, the property also has theatrical screenings, an iOS and Android mobile game, and a digital kids’ club. Irish animation continues to shine abroad as Irish productions The Day Henry Met, Punky, Somewhere Down the Line and Bing have received nominations at the Pulcinella Awards, which take place as part of the Cartoons on the Bay festival in Italy. 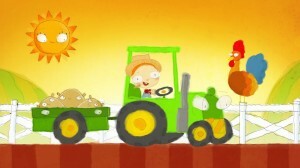 Two animated series produced in Ireland have been nominated in the TV Series for Preschool category. The Day Henry Met from Wiggleywoo was nominated in this category, and follows four-year-old Henry, who every day meets something new. Bing produced by Dublin-based Brown Bag Films also received a nomination in the same category. Punky from Geronimo Productions was nominated in the Educational and Social Issues Work category. Punky is a preschool animated series, centred around a six year old girl with Down Syndrome and was the winner of the Best Children’s Film award at the International Disability Film Festival in November 2014. Somewhere Down the Line from Cartoon Saloon was nominated in the Short Film category. The short was directed by Julien Regnard and examines a man’s life, loves and losses which are shown through the exchanges he has with the passengers in his car. It recently won the award for Best Animation at the prestigious Clermont Ferrand Short Film Festival. The Cartoons on the Bay festival takes place in Venice, Italy, from April 16-18 2015. The American award-winning animation series that has ranked as the #1 Children’s DVD release at Christian retail is making its way to the international market soon. Iesodo, pronounced as ”yay-sa-doe”, will be released to the international TV and DVD markets by Monster Entertainment at MipTV 2015, which will take place in Cannes this April. Iesodo, which means ”the way of Jesus”, is also the name of a wise white dove that, together with his feathered friends, brings the New Testament stories to life in a whole new, original way. Featuring Christian-film favourite Erin Bethea (Fireproof, The Redemption of Henry Myers) as the voice of ”Maggie”, the faith-based animation has been among the Top 10 Christian Kids DVD in the US since its initial launch in 2013, with five DVDs and a soundtrack album released to date – and there’s even more on the way. Produced by Zaya Toonz, a company from Hollywood, CA, whose team includes renowned producers such as Emmy-nominated Rob Loos, Iesodo has won its own share of awards as well. So far, the series has garnered two Telly Awards, two Accolade Awards and two Cynopsys Imagination Nominations, and now it’s coming to MipTV 2015 with the help of Monster Entertainment, the Dublin-based distributor and producer, which has a specialisation in faith-based programming. 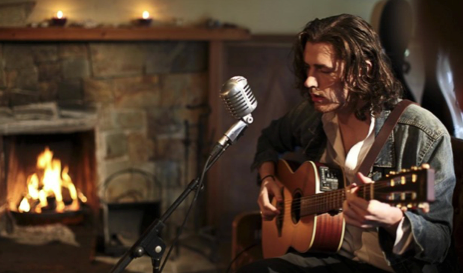 This Other Voices series’ special focus on Andrew Hozier-Byrne, the Irish singer-songwriter who became a worldwide sensation and features his first ever television appearance in Dingle. The special also presents Hozier’s live performances of songs such as ”From Eden”, ”Work Song” and the hit ”Take Me To Church”, which was nominated for a Grammy Award for Song of the Year in 2015 and went to number two in the US and the UK, a feat matched by his debut album which is enjoying worldwide success. Irish studio Wiggleywoo Ltd. has just kicked off production on a new animated preschool series, The Day Henry Met, and has already signed presale agreements with key international broadcasters. The 26 x 5 series is funded by RTEjr, The Irish Film Board, Section 481 and Creative Europe and from presales — including to Nick Jr. (U.K./Irealand), TVO (Canada), YLE (Finland) and SVT (Sweden). The Day Henry Met is aimed at preschoolers and encourages children to use their imagination and discover the world around them through play and adventure. 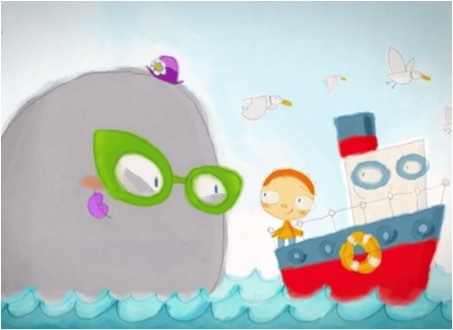 The hero, Henry, is an inquisitive little boy who in every episode meets something new, which becomes the focus of a new adventure, be it a whale, the moon or a knight. The show will launch on RTEjr in Ireland in June 2015, with international roll-out following in the fall. 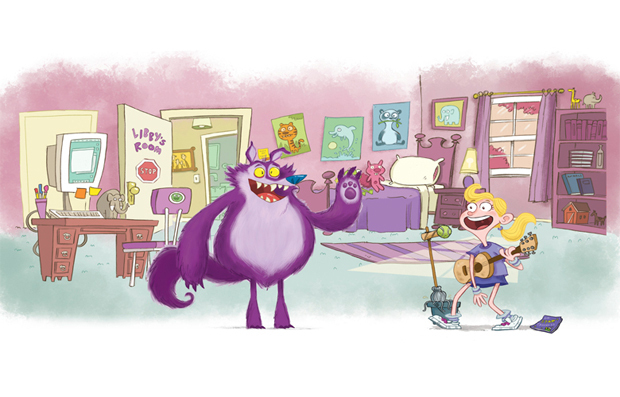 Dublin-based Monster Entertainment has acquired distribution rights and will debut the show at Kidscreen next month. Following the success of the show in the UK on Channel 5’s Milkshake block, Cartoonito and RTÉ have snapped up the Free TV Rights for ‘Pip Ahoy!’ in Ireland, with Cartoon Network UK acquiring the UK and Ireland Pay TV rights for its channel. ’Pip Ahoy!’ is the number one kids show in the UK for children 4-9 years old ahead of such shows as ‘Peppa Pig’ and ‘Spongebob Squarepants’ and ‘Postman Pat’. A master toy license deal has recently been signed with John Adams and there will be more licensing and publishing deals announced soon. Monster Entertainment is launching the series at MIPJunior and is hoping to replicate the UK success of the show, with sales to international broadcasters at MIPCOM. ’Pip Ahoy!’ follows the adventures of an eager happy go lucky young pup called Pip and his best friend Alba the kitten around the colourful and enchanting seaside resort of Salty Cove, where there is always an adventure to be had. 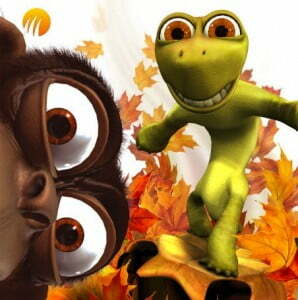 The series was created and being produced by CHF Entertainment in the UK at CHF’s new studio based in Manchester. The company is the new incarnation of British animation company Cosgrove Hall Films, which created such series as ‘Danger Mouse’, ‘Count Duckula’, ‘The Wind in the Willows’, and ‘the BFG’. Voice artists include Sir David Jason (‘Danger Mouse’, ‘Count Duckula’, ‘Wind in The Willows’), Teresa Gallagher (‘The Amazing World of Gumball’, ‘Octonauts’, ‘Noddy’), Emma Tate (‘Moshi Monsters’ , ‘Horrid Henry’, ‘The Jungle Book series’) and Jimmy Hibbert (‘Danger Mouse’, ‘Avenger Penguins’, ‘Little Red Tractor’) and the title song is performed by singer and presenter Stacy Solomon. 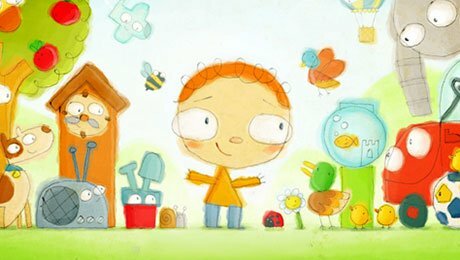 Cartoonito, RTE buy Pip Ahoy! 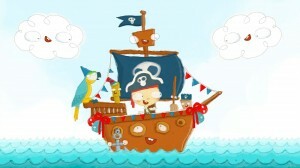 Cartoonito in the UK and Ireland and Irish pubcaster RTE have acquired rights to Channel 5’s animated series Pip Ahoy!. RTE’s deal gives it free TV rights in Ireland. The show comes from Ireland’s Monster Entertainment, and is about an eager young pup and his best friend, a cat, in a seaside resort. Monster is launching the show at MIPCOM. 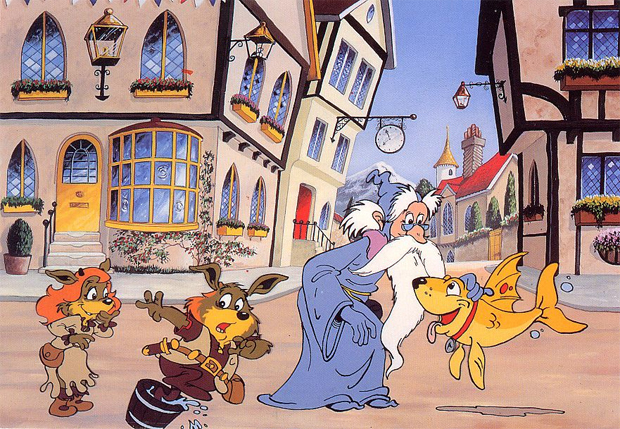 CHF Entertainment ­­– the new incarnation of Cosgrove Hall (Danger Mouse, Wind in the Willows) produced the series. 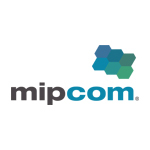 MIPCOM is now under way in Cannes, with buyers and sellers from all over the world converging to work out deals. • Cartoon Network U.K. has acquired the U.K. and Ireland pay-TV rights toPip Ahoy! for its Cartoonito channel, and RTE has acquired free-TV rights for Ireland. Pip Ahoy! is the No. 1 children’s show in the U.K. for ages 4-9. A master toy-license deal has recently been signed with John Adams and there will be more licensing and publishing deals announced soon. • Monster Entertainment will be launching the third season of Sunrise Production’s Jungle Beat hit series at MIP Junior. The third season is in production and will be finished in January 2015. It is part of a major expansion of the Jungle Beat brand, which includes a fourth season which is already confirmed with plans for a fifth and a sixth series, a seven-minute version and increased licensing activity, theatrical exhibition and participation in theme parks. A 2D toon concept titled Wulfie will be one of nine projects boasting Irish ancestry at the Cartoon Forum in Toulouse, France this week. The series is produced by Wulfie Animation and will be repped by co-producer and brand management shingle Monster Entertainment. Dublin-based Monster and production partner Jam Media took home the investor-distributor and producer prize at the event’s 2012 edition. Wulfie, aimed at kids 6-11, centers on the relationship between 10-year-old Libby and her new best friend, a “pathologically nosy, purple, shape-changing, talking, wolf-like creature from another world,” according to producer Lindsay Sedgwick (the creator of groundbreaking animated series Punky). The series is set to begin production next year. Monster’s distribution arm will also be flexing its muscle with 18 series — many new acquisitions — at the MIP Junior market in Cannes next month. These include short format Euro animations Luchien (26 x 1), Pikkuli (26 x 5) and FlipFlap (25 x 4), which will make their market debuts. YLE pre-bought the show, which follows a little bird who doesn’t want to learn to fly and so instead hops around like a chicken, last year, asrevealed by C21. Dublin, Ireland-based distributor and producer Monster Entertainment is launching Pikkuli, a new preschool series from Finland, at MIP Junior. The preschool series (26 x five minutes) is produced by Finland’s Sun In Eye Productions and is based on the book Fly, Pikkuli Fly! by author Metsämarja Aittokoski and illustrator Elli Vuorinen. Monster has made presales to Finland’s YLE, Norway’s TV2 and a number of Eastern European broadcasters, including ERR (Estonia), HRT (Croatia), RTVS (Slovakia) and Public Latvian Television. The preschooler comes from CHF Entertainment, which is the production venture from the UK animation execs behind the legendary Cosgrove Hall Films (Danger Mouse,Count Duckula). Pip Ahoy! has scored a commission from UK broadcaster Channel 5 and will launch on its kids block Milkshake! block. It is billed as a “fun-filled animated adventure series for three-to-six-year-olds”, and has voice talent including David Jason (Danger Mouse, Count Duckula,The Wind in the Willows), Teresa Gallagher (The Amazing World of Gumball,Octonauts) and Jimmy Hibbert (Danger Mouse). 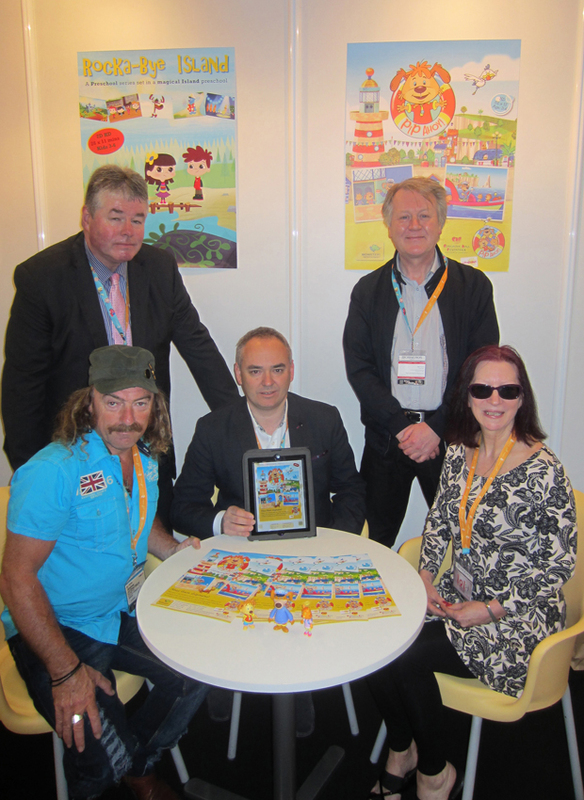 Monster Entertainment is launching at MIPTV the animated children’s series Pip Ahoy! The series is created and produced by CHF Entertainment, a new incarnation of the iconic British animation company Cosgrove Hall Films, which produced such classic series as Danger Mouse, Count Duckula, Wind In The Willows and BFG. The new company is headed up by Brian Cosgrove; Mark Hall’s son, Simon; and Francis Fitzpatrick, who brought the hugely successful and seven-time Emmy Award-winning animation series Jakers! to the global market a few years ago. This 52 x 11 series was commissioned by Channel 5 in the United Kingdom and will launch on the prestigious children’s block, Milkshake, later this year. The series is being produced in UK at CHF’s new state-of-the-art studio based in Didsbury, Manchester. Voice artists include Sir David Jason (Danger Mouse, Count Duckula, Wind in The Willows), Teresa Gallagher (The Amazing World of Gumball, Octonauts, Noddy), Emma Tate (Moshi Monsters , Horrid Henry, The Jungle Book series) and Jimmy Hibbert (Danger Mouse, Avenger Penguins, Little Red Tractor). Scripts are written by an experienced team led by Nick Wilson, who created the Channel 5 Milkshake brand. The theme song is sung by Stacey Solomon. Pip Ahoy! 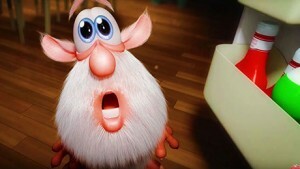 is one of the nine new animation titles that Monster is bringing to MIPTV this year. 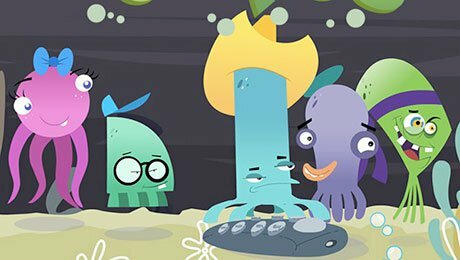 Broadcasters in Asia, Europe and the Middle East have picked up a Costa Rican cartoon about a group of octopus friends, distributed by Ireland’s Monster Entertainment. 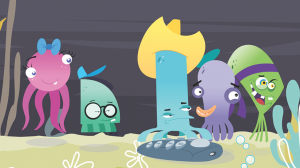 The slapstick non-dialogue series, which is aimed at children aged 4-8, is produced by Rocket Cartoons in Costa Rica and revolves around five octopus friends that have grown bored of life in their fish tank and attempt to escape. Following its launch at MIP Junior last October, Monster Entertainment has secured new deals across Europe, MENA and Asia for the animated series Outopus. The 52 x two-minute series has already been picked up by Disney Japan, YLE Finland, NRK Norway, Junior TV Germany, and Al Jazeera children (JCC). Aimed at children from ages four to eight, the slapstick comedy has also been picked up by a number of airlines including Aer Lingus, Vietnam Airlines, Meridiana Fly, Air Italy and Norwegian Air. 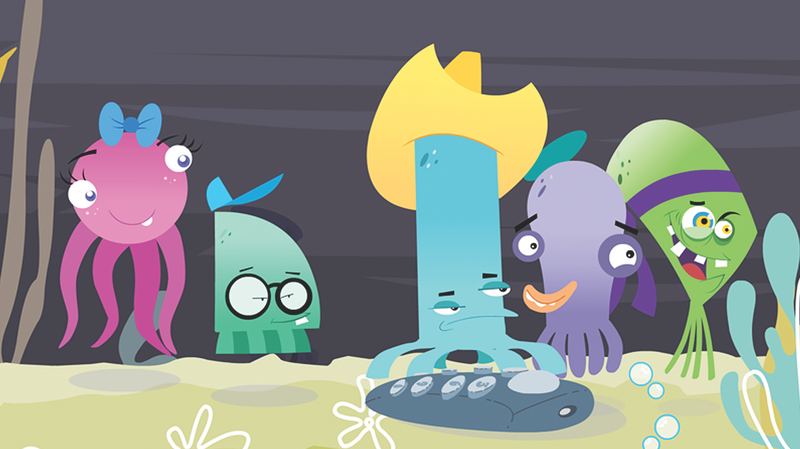 The series was produced by Rocket Cartoons in Costa Rica and tells the story of five octopus friends that have grown bored of life in their fish tank. Ireland’s Monster Entertainment has landed new deals across Europe, Asia and South America with the brand new animated children’s seriesTiny Square Critters, which was launched at MIP Junior. Set in a forest, the 2D animated series tells stories from the target audience’s (3 to 6 years old) own world, e.g. the day in the kindergarten. 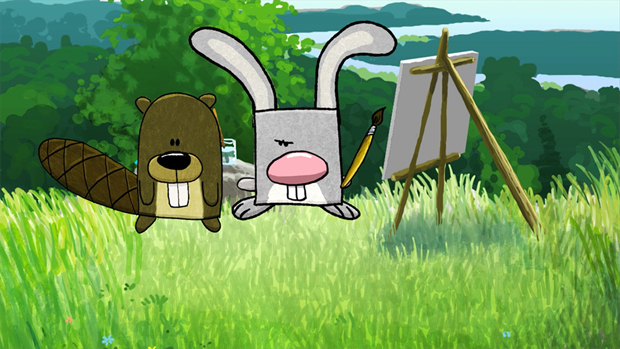 Each episode starts and ends with a lesson in how to draw animals, encouraging children to join in the stories and create adventures of their own. The 26 x 7-minute series has been acquired by broadcasters YLE Finland, EduCar in Argentina, Multimania TV who will air it in Russia, CIS, Latvia, Lithuania and Estonia and WhyJ Contents in South Korea. Produced by Tiny Film, Tiny Square Critters will mark Monster’s second collaboration with the Danish animation studio, which also produces the popular non-dialogue animated series Originalos. UK animation prodco Martin Gates Productions will relaunch its programme library in high definition at this year’s MipJunior to mark the company’s 25th anniversary. The prodco is joining forces with Conexion Media Group to bring titles including The Dreamstone (52×30’) and Bimble’s Bucket (13×30’) back to the international market. The 40-hour programme catalogue has been upgraded to HD quality and will now be sold internationally by Dublin-based distributor Monster Entertainment. The Dreamstone is set on a distant planet where dreams and nightmares do battle and has previously been sold into 30 countries. Bimble’s Bucket has been picked up by broadcasters in 50 territories, including Sky and CiTV in the UK. Also included on the slate are one-off specials Mole’s Christmas, adapted from a chapter in The Wind in the Willows and previously aired by the BBC and The Disney Channel, and Santa’s Last Christmas, which is voiced by Hugh Laurie (House). Monster Entertainment has signed new deals with Cartoon Network Japan, Cartoon Network Latin America, Disney Taiwan (including Hong Kong and Macau), Nickelodeon India and B Channel in Indonesia for animated series Jungle Beat. 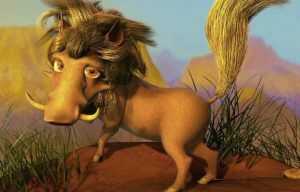 The 26×5 minute dialog-free animation is family friendly CGI series focusing on different animals and the bizarre situations they encounter in nature. The new deals will bring the hugely successful CGI animated series to television screens across Asia, Latin America, the Caribbean, India and Indian subcontinent. Producing studio Sunrise Productions are currently working on the third season of the show, with the previous two series available on DVD and on the iTunes store. 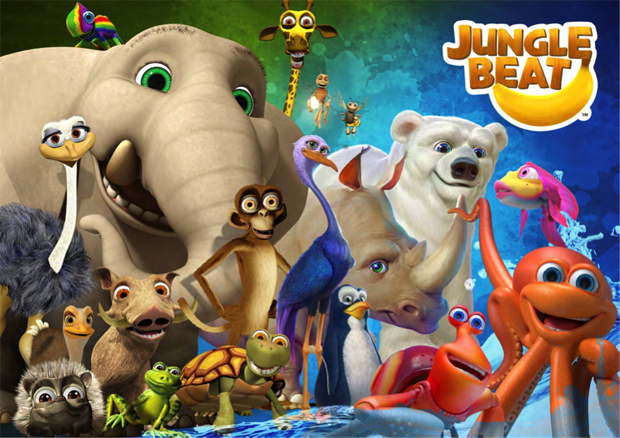 Broadcast in 200 countries worldwide and shown on 27 airlines, the Jungle Beat brand has enjoyed widespread success with a substantial merchandising programme and also theatrical release of the new episodes, which are being made in 3D stereoscopic, in many territories. Monster Distributes is launching live action series Baaas at MIPTV. With 104 x 12 mins or 52 x 24 mins plus Christmas, Ramadan and Eid specials, the series is a multicultural family sitcom, and is a ground-breaking co-production between Welsh based Ceidiog, S4C and the pan Arabic Al Jazeera Childrens Channel / JCCTV. Meet the Baaas – there’s nothing cuter than cuddly, fluffy sheep and here’s a whole family of them. There are the twins Jaaason and Meeedea, Mom and Dad, along with Grandpa Costaaas and Grandma Baaalwen. And like all families, they bicker but the bonds of family are strong and run deep. The Baaas are connected to their relatives and friends around the world, thanks to Grandpa Costaaas who creates ways for his family to stay in touch. All episodes are available in HD. Monster is very excited to have Baaas join Monster’s catalogue of award-winning animations, including animated series Birdy, Abby Careful, I’m an Animal and I’m a Dinosaur, non-dialogue animations Jungle Beat and Gazoon, Oscar-winning short film Harvie Krumpet and Oscar-nominated Jasper Morello and Give Up Yer Aul Sins.